Design a new hotel brand for future Canadian development. Do you know what it would take to provide an amazing and unique hotel experience for future travellers? Would you make the experience more tech-saavy? How about introducing a sleeker design? Would you change the room features? How about the front lobby? 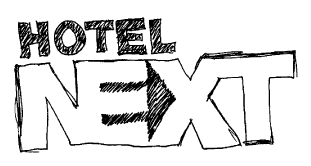 If you have an original hotel concept in mind, it’s your chance to compete in the #hotelNEXT competition! Beginning in January 2017, you and your Team can enter the Second Annual Canadian Hotel Competition for Young Developers called #hotelNEXT. The top three Teams will be flown out in May, all expenses paid, to the Canadian Hotel Investment Conference. You and your Team will compete *on stage* with the exclusive chance to WOW a panel of Canadian hotel investors and owners with your #hotelNEXT concept! Is it a truly out-of-the-box concept? Has this offering or solution ever been introduced before? Can the Team easily describe why this concept is not like any other? Are the points of differentiation relevant to the targeted guests? Be financially viable and feasible. Have the projected income statements been presented accurately? Are they presented five fiscal years out? Is there integrity in the numbers, meaning is the hotel financially viable? How accurately are the competitors and target market identified?